We are told in the New Testament that the Holy Spirit is the one given to us to teach us to give us understanding. Beware of anyone who tells you you cannot understand the word of God in the form He gave it to you, but that you must only understand it through the lens of their interpretation. God gave us a Book. (A book of books). 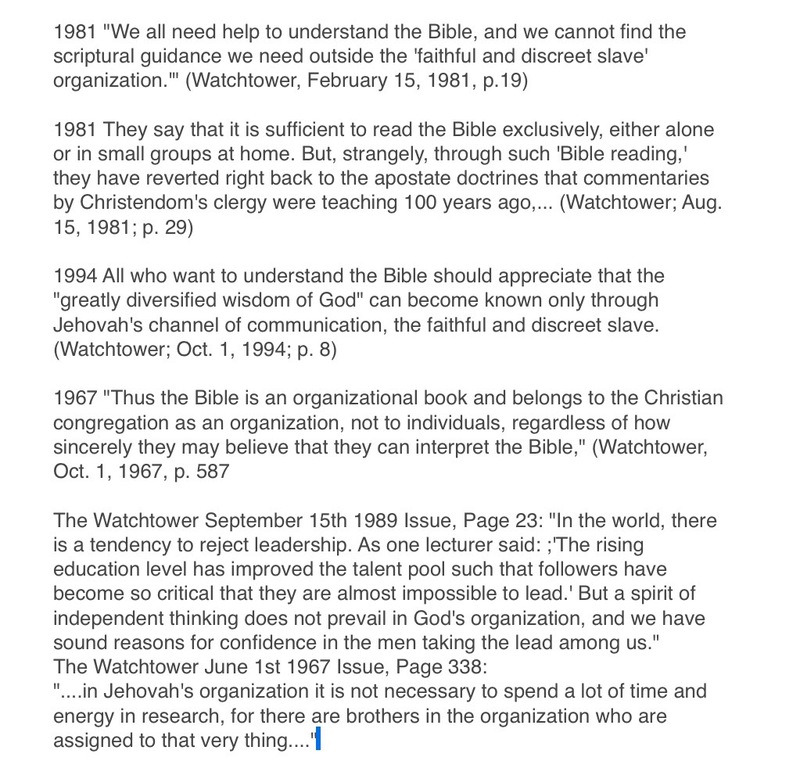 Watchtower gives a huge library of information. You could spend so much time in that Jw library reading about the Bible from a certain organization’s perspective, that you may never have time for God to speak to you directly from his word. Don’t let that be stolen from you.